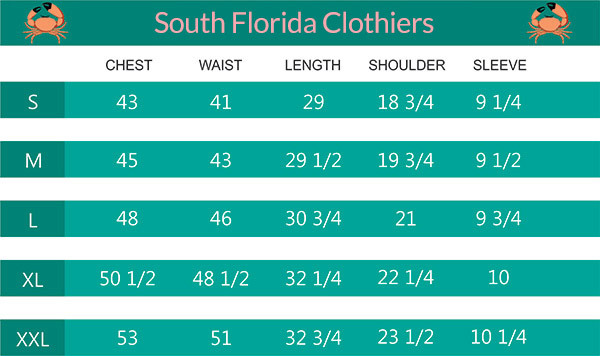 For this week’s South Florida Clothiers South Florida Friday [Fan] Fact we pay homage to Burt Reynolds, who in addition to being the top box office draw of his epoch was perhaps South Florida’s all-time greatest emissary. Although born in Michigan, Burt and his family moved to South Florida in his 10th year, settling in Riviera Beach where his Army Veteran father rose to become chief of police. As for Burt, he attended Palm Beach High School, where it took him only until his sophomore season of football to become an All State and All Southern running back. He parlayed that success into an FSU football scholarship, where he would room with another South Florida football phenom: Lee “Sunshine Scooter” Corso, the all-star quarterback out of Miami Jackson Senior High School, who now resides in Orlando and hosts ESPN College Gameday. 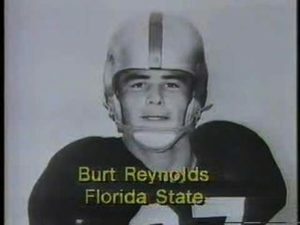 Injuries shortened Reynold’s football career however, and he returned to South Florida, transferring to Palm Beach Junior College (then in Lake Park). While there, an English professor directing a play encouraged Burt to give acting a try. That play earned Burt the 1956 Florida State Drama Award, and the rest is history. Reynolds lived in Hobe Sound for decades, and passed away yesterday in Jupiter, Florida, a town that once contained the Burt Reynolds Dinner Theater and the Burt Reynolds and Friends Museum, and still contains Burt Reynolds Park. Up until his death he mentored local theatre students down the road at the Burt Reynolds Institute for Film and Theatre.